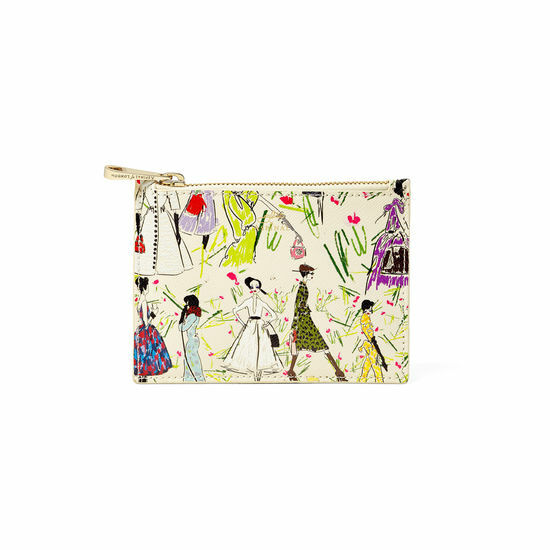 Aspinal of London invited British couture designer, Giles Deacon, to "dress" his favourite Aspinal products and to bring couture design elements to a playful and inspired collection. 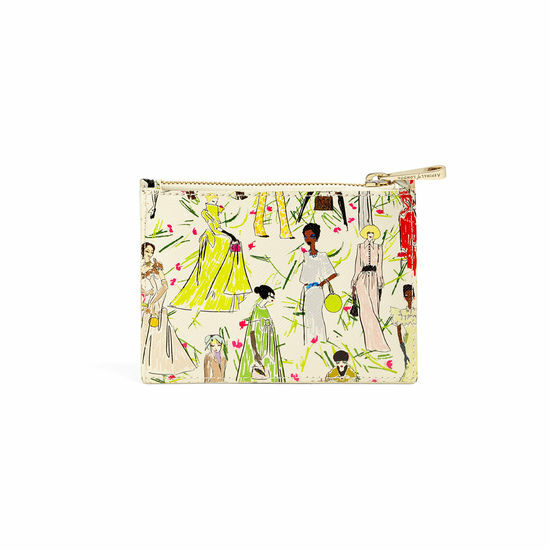 Giles puts his stamp on our must-have small essential pouch with his "Aspinal Girls" print designed to complement any bag with a pop of colour. 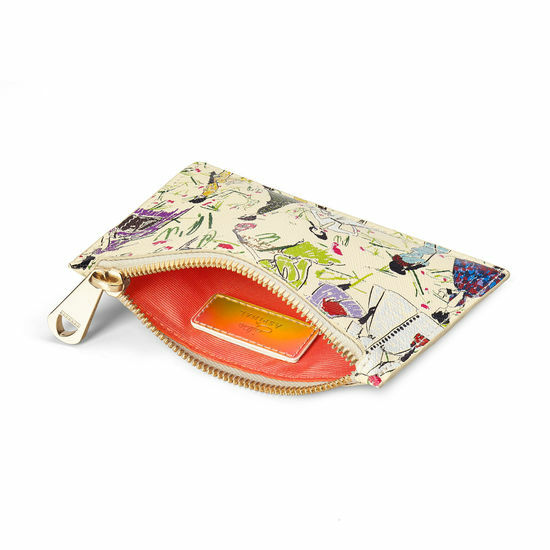 Petite and practical, it is perfectly sized for carrying your loose change and cards. This versatile piece can also be used to keep your mobile accessories in order, with room for your headphones and cables. Hand-crafted from the finest Italian leather, lined with shimmering coral grosgrain and finished with signature gold-toned hardware. $5.50 will be added to your total purchase price at checkout. This will subsidise tax, duty, credit card fees, insurance in transit and handling. *Orders places before 2pm are delivered next working days. All delivery times are based on working days. Insurance and Handling will be charged at a rate of 2.5% (EU) / 5% (USA & Canada) / 10% (Rest of World) on your total purchase price at checkout. This will subsidise tax, duty, credit card fees, insurance in transit and handling. In the unlikely event that any extra charges are requested from you at the time of import by customs or by courier at the time of delivery, please contact our Customer Services Team for advice with this matter.